Glossybox is a bespoke box of 5-6 luxury-sized cosmetic and wellness samples hand-picked by our beauty experts and mailed directly to your door. No matter which subscription plan you choose, from once-a-month to just once, this box is perfect little present from you to you! 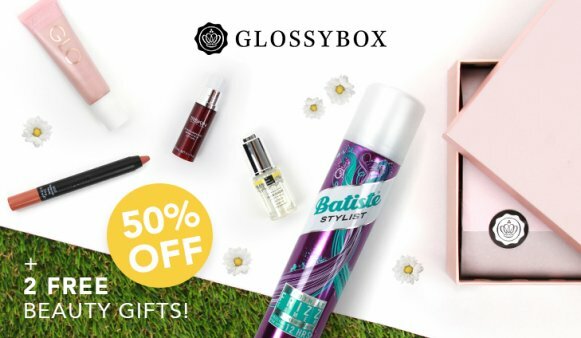 50% off your first GLOSSYBOX + two free beauty gifts. Offer ends 30th June 2017 or until stock lasts.